If you’re caring for someone living with dementia, dealing with changes in their behaviour may be one of the biggest challenges. This behaviour may come seemingly without warning and can be overwhelming, frustrating, and exhausting for all involved. While everyone can from time to time become frustrated and angry when their needs are not met, people living with dementia while no different, may not be able to control negative behaviour due to the brain damage that is occurring as a result of their dementia. These changes can cause them to react for seemingly no reason, which can be surprising, discouraging, and hurtful if you’re not expecting it. Certain behaviours can also be attributed to how a person is perceiving their world. They may be feeling overstimulated by their environment, loud noises, or unfamiliar people. They could feel lost, or they may just have a time of day (typically night) where they struggle to control their anger and frustration. Often, people living with dementia may be experiencing physical pain, and unable to identify the source of pain or explain it to you. They may also be hungry, thirsty, tired, or dealing with side effects from their medications. As they lose cognitive function, they may be more likely to express their physical discomfort through anger and aggression. Sometimes, when people with dementia become angry, they’ll throw things, yell, scream, hit, kick, push, and swear (even if they’ve never sworn in the past). While you’ll often see warning signs, at other times the behaviour will seem to come out of the blue- which can be difficult to cope with. Since dementia can cause personality changes, you may feel like you don’t even recognise the person you’re caring for. Humans make an average of 35,000 decisions each day. Of course, many of these are subconscious, or small, seemingly inconsequential decisions such as which shirt to wear to work. For someone living with dementia, however, these decisions can quickly become overwhelming as they lose cognitive functions. At the same time, they should still have the right to make simple decisions. Instead of asking them to choose an outfit from a closet bursting with clothes, lay out their clothes and ask them to choose between two different shirts. At lunch, give them two options instead of a whole menu. This will reduce feelings of being overwhelmed, which lead to anger and frustration. No one does well when they need to focus in a loud, noisy, distracting environment. Challenging environments can make aggressive dementia worse. Have you ever noticed that you tend to turn down the radio when you’re driving to a new address? That’s because reducing noise gives you a boost in focus and makes it easier to concentrate. For people living with dementia, a calm, relaxed environment can help them stay emotionally centred, and reduce the chances of being overwhelmed- and the resulting angry outburst. No matter how much you argue with someone living with dementia, you’re never going to win. This is because they simply see the world differently than you do, and many of their thoughts, feelings, and actions may not be clear to you. Instead of challenging your loved one about their position, take the time to listen. If they’re refusing to complete a task, consider why they may not want to do it. If it’s something they should really do (like brush their teeth), leave it alone for twenty minutes and then revisit it. You’ll often find that their position has changed and they’re in a more responsive mood. Routines help reduce the number of decisions (and amount of thinking) needed for both you and your loved one every day. Often, changes in behaviour can be managed by simply ensuring they know what to expect throughout their day, so they feel calm and relaxed. Ensure that the things they need on a daily basis are in the same place for them each day. If they tend to forget how to do some tasks, leave basic instructions around the house so they can remember how to do them without needing to ask for help. We all know how important communication is in any relationship- but clear communication is even more important when you’re caring for someone living with dementia. Consider how you’re interacting with your loved one. Consider whether your instructions are as clear as they can be. Are they easy to understand? Do you tend to say too many things or ask too many questions at once? Are you allowing them enough time to respond to questions? At the end of a long day, you may be feeling tired, irritable, and stressed. 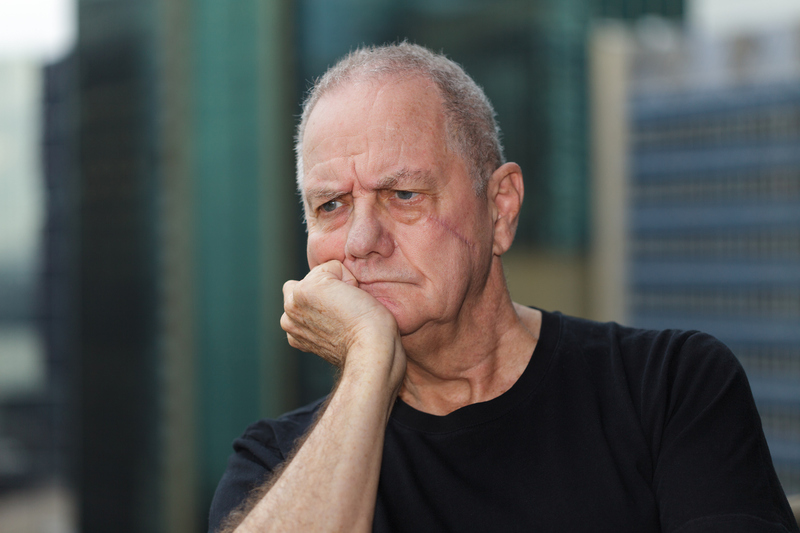 However, someone living with dementia may pick up on these feelings and respond accordingly. Whenever possible, keep instructions and communication to short, clear sentences. Avoid being overwhelming, and you’re likely to notice that the person living with dementia is calm and content. It’s absolutely normal to need support if you’re dealing with changes in your loved one’s behaviour. If you’d like to learn about their options for care, get in touch today.